JULIE Bishop has delivered her first public address since resigning as foreign minister, blasting the "appalling behaviour" in Canberra in the lead-up to the leadership spill. 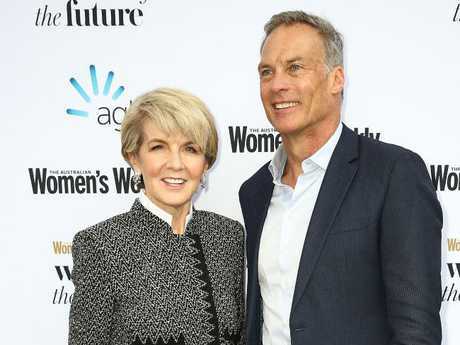 Speaking at the Australian Women's Weekly Women of the Future awards on Wednesday night, Ms Bishop said the events that led to the ousting of Malcolm Turnbull as prime minister "would not be tolerated in any other workplace in Australia," the Australian Financial Review reports. The most powerful woman in Australian politics slammed the party's actions, saying it calls for a "much broader debate about workplace culture" including "allegations of bullying, harassment and coercion and the unequal treatment of women." The former deputy Liberal leader and foreign minister also took aim at the party's lack of female representation, saying: "I say to my party, it is not acceptable for us to have in 2018 to have less than 25 per cent of our parliamentarians as female." 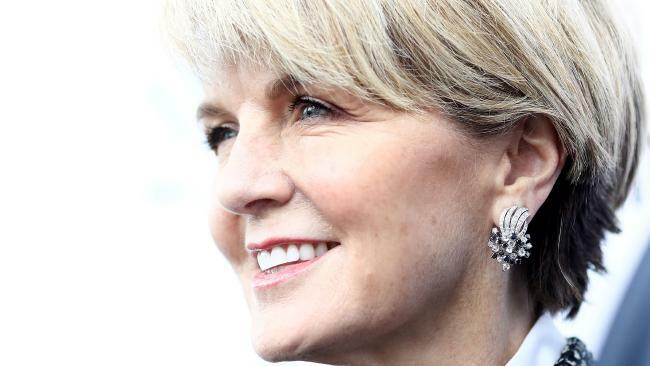 Ms Bishop added: "I have seen and witnessed some appalling behaviour, that in a law firm I would never have accepted but in Parliament, it's the norm. 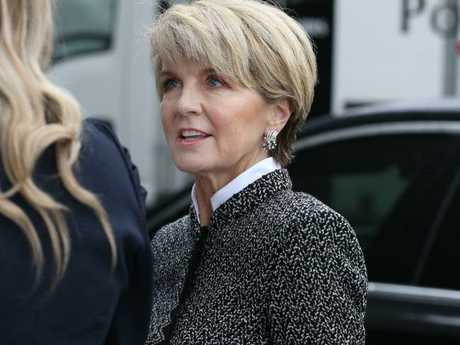 Ms Bishop was a strong contender to replace Mr Turnbull following Peter Dutton's failed leadership challenge last month, but was knocked out in the first round of party room voting, before Treasurer Scott Morrison swept in to take the top job. She said there was much to be done within the Liberal party when it comes to female representation. 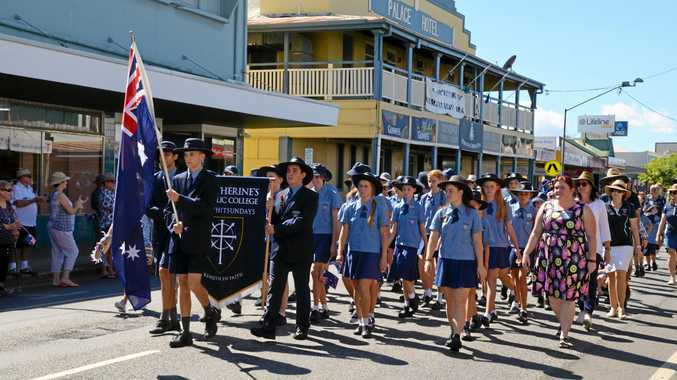 "It is not acceptable for our party to contribute to a fall in Australia's ratings from 15th in the world in terms of female parliamentary representatives in 1999, to 50th today," Ms Bishop said. Earlier this week, it emerged that Mr Turnbull allegedly offered Mr Dutton the role of deputy Liberal leader - a position occupied by Ms Bishop for nearly a decade - in a last-ditch attempt to prevent a leadership challenge. The Home Affairs Minister reportedly turned down the offer because he believed he had the backing of Liberal MPs to seize Mr Turnbull's job. 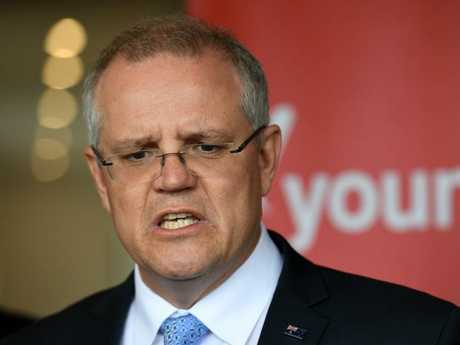 Mr Morrison dismissed the report on Wednesday morning, saying Australians couldn't care less.